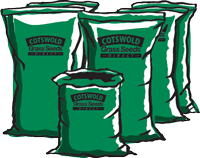 Next day delivery of grass seed, legumes, herbs, wildflower and environmental mixes for conventional and organic livestock and arable farmers. We offer bespoke seed mixtures and impartial advice. Buy online or call 01608 652552.